The EUR/USD currency pair continues moving inside a narrow trading range near its minimums. We think today the price may form another descending structure towards the level of 1.2820 and then start a correction to reach the level of 1.2930. Later, in our opinion, the pair may continue falling down and reach a new minimum. The target of this descending wave is at 1.2700. 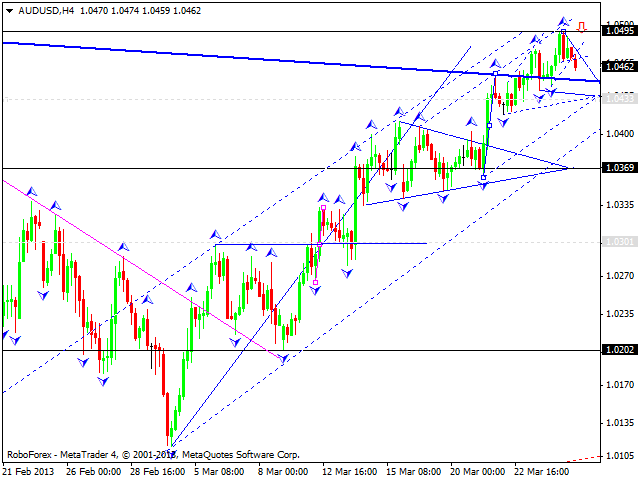 The GBP/USD currency pair continues forming a correction. We think today the price may renew its minimums a little bit. 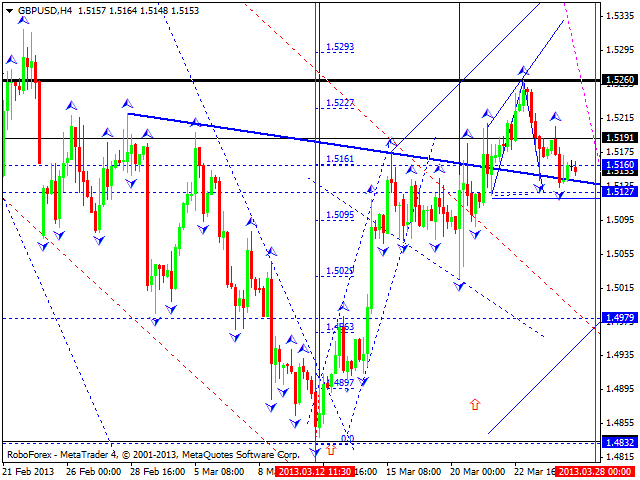 Later, in our opinion, the pair may start forming another ascending structure towards the target at 1.5350. The USD/CHF currency pair continues moving inside a narrow trading range near its maximums. 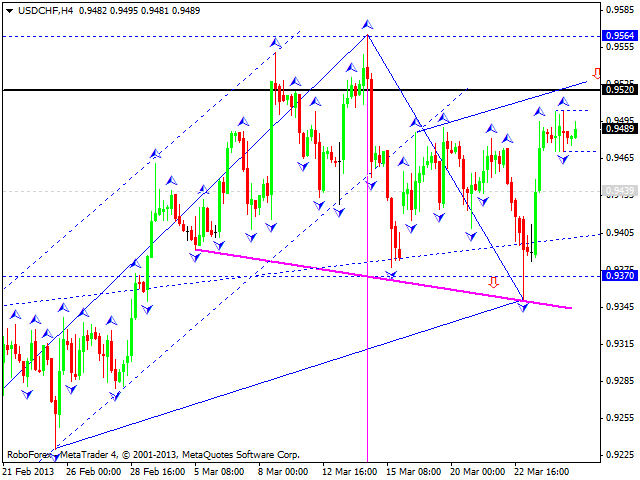 We think today the price may reach the level of 0.9520 and then start a correction towards the level of 0.9435. The structure of this impulse may help us to define whether Franc is going to reach new tops or not. 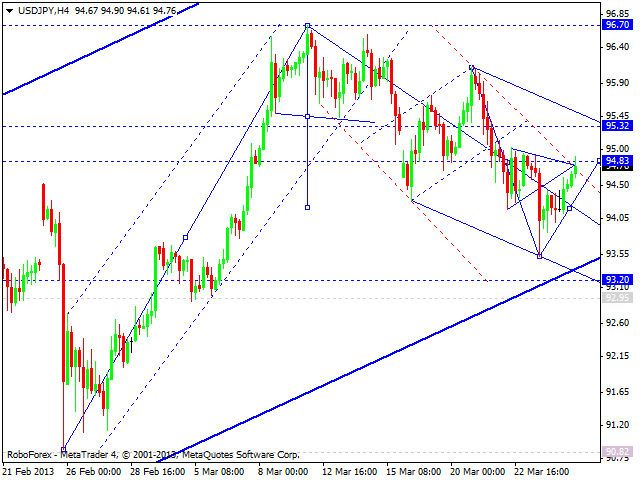 It looks like the USD/JPY currency pair completed another ascending wave, which may be considered as a correction. Later, in our opinion, the price may start a new descending structure to reach a new minimum at 93 and then form another ascending wave. Australian Dollar completed an ascending wave. We think today the pair may start form any type of reversal structure. 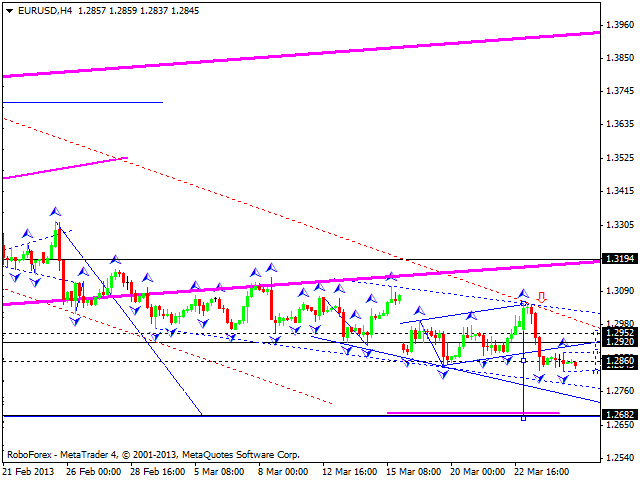 The first target of a new descending movement is at the level of 1.0370. 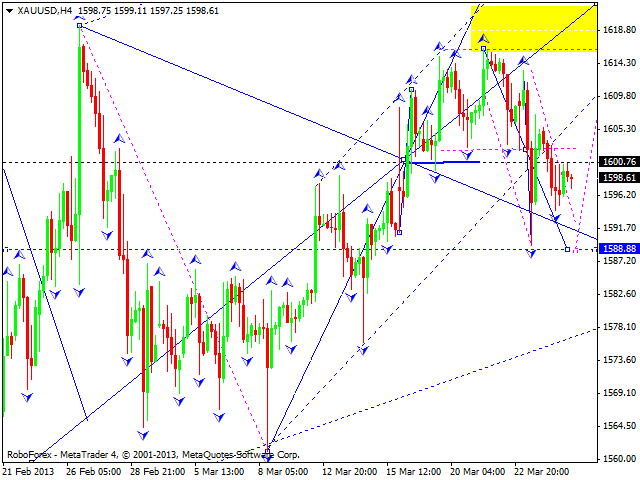 Gold continues forming a descending structure; the target is at the level of 1588. Later, in our opinion, the instrument may start an ascending movement to reach the level of 1646 and then continue falling down towards the target at 1525.